This set of photos was taken on August 18, 2018 at 7:19 AM. Once again the location is that same elevator* in a great hotel in the Georgetown section of Washington DC. 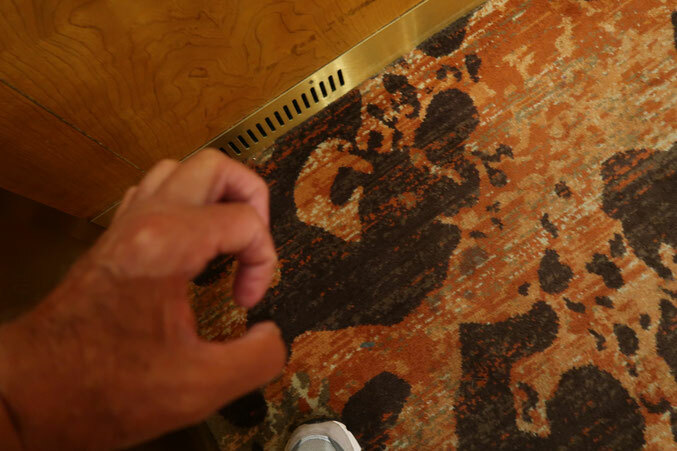 The "Take it!” came after having moved to a different location in the elevator while taking the two story daily ride to my destination. 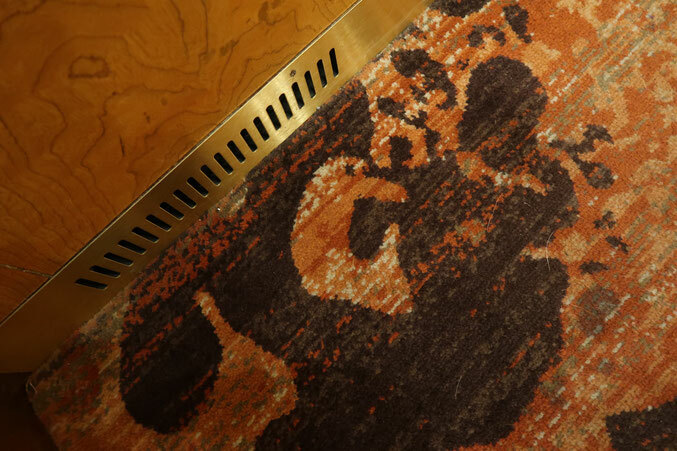 Habit and right handedness as an orientation has me usually on the other side of the elevator and thus not looking at this part of the design in the carpet during the ride. I saw this part of the design and with just a little bit of push to my imagination came up with an easy modification to the hand shadow of the goose which many of know and have played with for lots of years. This modification changes the goose to a sort of rendition of a cranky old fellow. I gave it a try with a lamp at home (The Goose is easier - lol). The After Take: Everyone to whom I showed this to - got a laugh out of it. Hope you did too. My daughter and I see a whale. By the way keep doing these "cloud shape" type pictures. We love them! I think this site is giving me a better imagination. I can see quite a few different things in all those shapes. I want your job. I love teaching, however it would be so much fun to walk around and find new things everyday. Especially if I was as good as you are at it.